Cathleen Harrington leaves her home in Ireland in 1919 to travel to South Africa and marry the fiancé she has not seen for five years. Isolated and estranged in a harsh landscape, she finds solace in her diary and the friendship of her housemaid's daughter, Ada. Cathleen recognises in her someone she can love and respond to in a way that she cannot with her own husband and daughter. Under Cathleen's tutelage, Ada grows into an accomplished pianist, and a reader who cannot resist turning the pages of the diary, discovering the secrets Cathleen sought to hide. A poingnat story of a domestic worker who fathers a child by the owner of the house where she lives and works. Not an uncommon occurance during apartheid in South Africa. I really enjoyed the book, but the fact hat it was narrated by a person with a strong English accent who pronounces sung by saying sung..G.. empahis on the silent G, was irritating. And the mispronounciations of the South African words as well as Afrikaans and Xhosa words and names was irritating too. Surely the narrator does some research before embarking on narrating a book that has some relation to another language? Simple pronounciation like the Fish River in Afrikaans Groot Vis.. The Gr in groot pronounced the same as the CH in Loch.. and the work Vis, proonunced the same as hiss, but with the V sounding as an F. Silly I know, but being South African it reduced the authenticity of the story and I can only blame the author for allowing it to be distorted by a bad English accent. What made the experience of listening to The Housemaid's Daughter the most enjoyable? Trying to envision the characters was most enjoyable. Ada and Dawn were a tie for favorite character. Which character – as performed by Lisa Dillon – was your favorite? I would say that Mrs. Kath was the best performed. The ending was the most moving for me. I felt that the narrator's perfect British accent put me off and kept making it hard for me to visualize Ada as a black South African woman. I think a true South African accent would have been more apt. I was captured in this world. A delight of a book, not to tough going but still tackling very difficult issues. I loved the characters and really warmed to them. Would you try another book written by Barbara Mutch or narrated by Lisa Dillon? 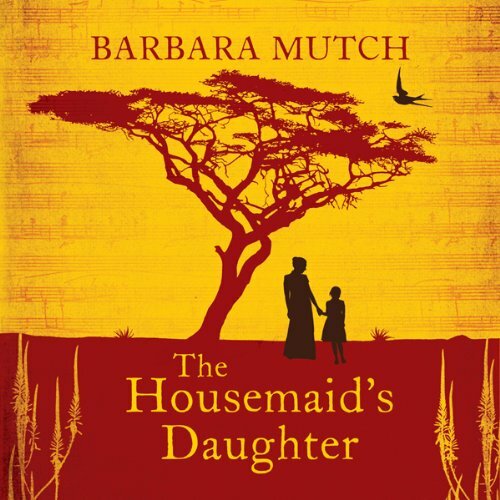 Would you ever listen to anything by Barbara Mutch again? What aspect of Lisa Dillon’s performance might you have changed? What character would you cut from The Housemaid's Daughter? No one - the author is very disciplined with respect to her characters. I do wish she had given them more depth though. Some, like Ada and Cathleen, we get to know well. Others are cardboard like- two dimensional. I would have liked to get into Edward's head a bit. Also - the Auntie is just horrible - no redeeming features. I've not met many people like that. Most people are horrible to their own benefit - they treat people badly to get a benefit for themselves. Being horrible for no good reason isn't realistic. The story had many positive aspects, so it is hard to choose just 1 which I liked best. It is very well written, inducing a myriad of emotions in the reader/listener - at times heart warming, and at others sad. We follow the life of a black South African maid from before, during, and after the end of apartheid. The tempo is very well managed, given how much ground is covered, and I did not feel any sections to be either rushed or over-long. It also comes across as very real - we hear about the struggles of the black and coloured (mixed race black and white) communities, and the bigoted views of many white people. It is personalised by focussing on the life of one individual, which really draws you into the story. I would definitely recommend this audiobook.